Disclosure: My cousin received this for review. All opinions are her own. 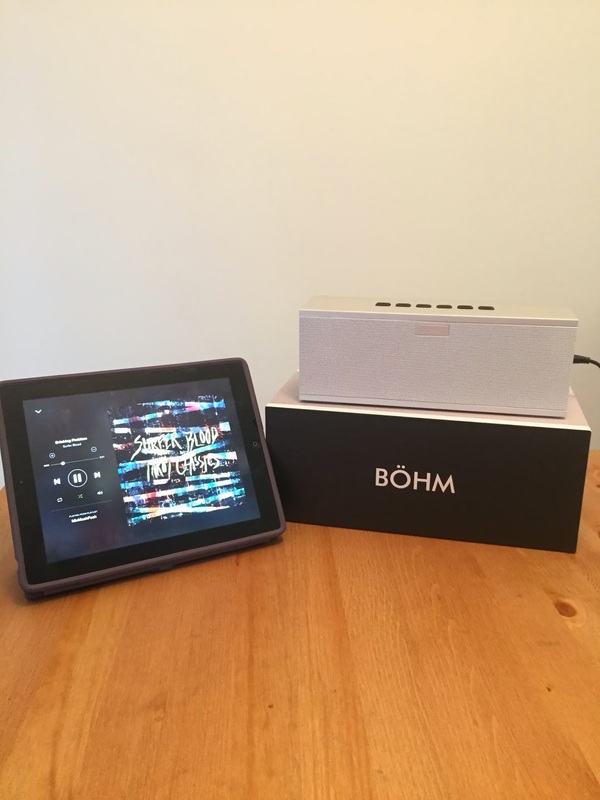 The BÖHM Wireless Portable speaker allows you to listen to music, amplify your audio-visual media streaming, and communicate with callers by connecting your wireless Bluetooth device to it. 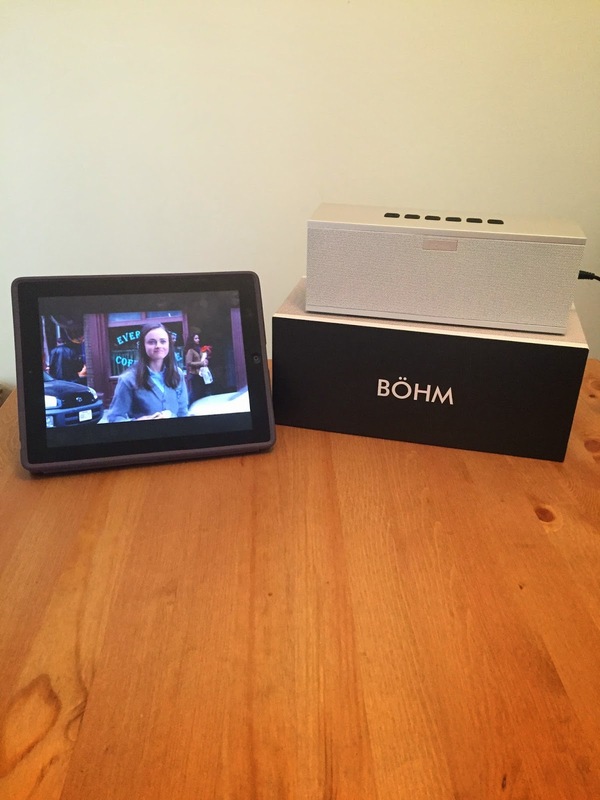 I had no trouble pairing my iPhone and iPad to the BÖHM wireless speaker. The instructions to get started were very easy to understand, which helped me get started by my first attempt. This alone deserves one star for its user-friendliness. 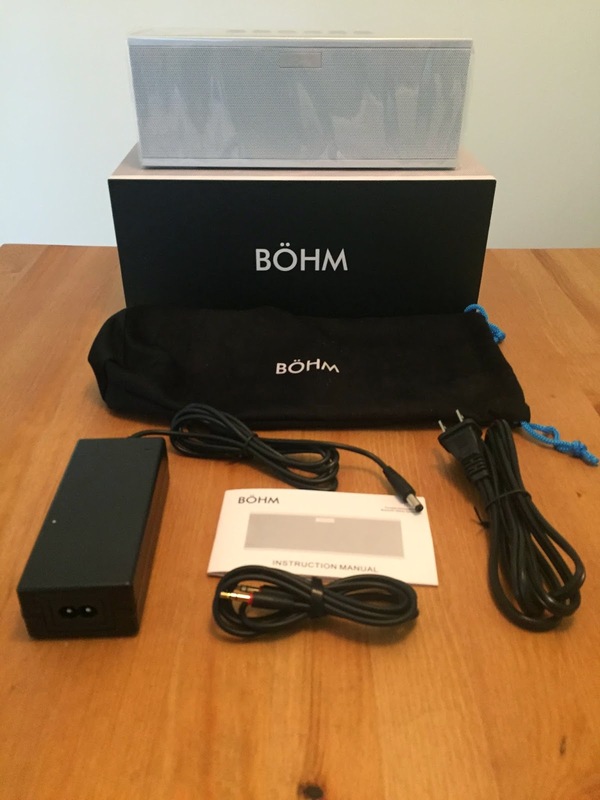 I used all the features that the BÖHM wireless speaker offers and I enjoyed most of them. The first feature was connecting my iPad to amplify the streaming audio of television shows. I often turn on something on from Netflix while I prepare dinner, and usually watch it with the captions because I couldn't hear everything. I enjoyed this feature because I could hear the content over the vent fans. This gets another star in my book. The second feature, I tried out was streaming the music from my iPhone. Again, no problem pairing it to the device, and does not lag or skip. It comes out clearly and loudly. While I was listening to my music, I was able to try out the third advertised feature of being able to communicate with callers. I was able to connect to my call easily, but the caller had a hard time hearing me through the speakerphone. I had to disconnect the Bluetooth so they could hear me. Another setback is that you have to adjust the volume through your phone. If you press the button on the BÖHM device to make it louder, it does get louder but it sounds like you are going to blow-out the speaker. Make sure you adjust the volume through your wireless device. I will have to only give half a star for this. 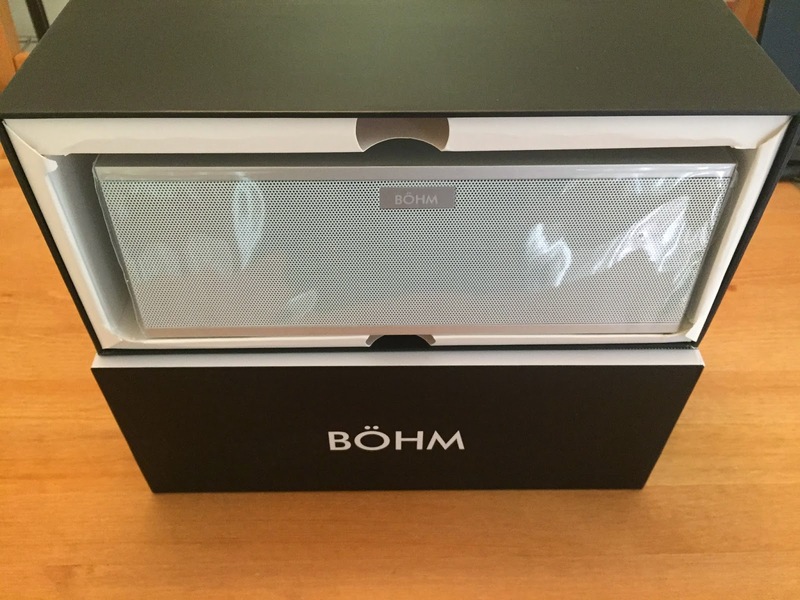 The BÖHM wireless speaker is aesthetically pleasing. It's a simple design that is easy on the eyes and can blend into any household. I like how it is a classic look done in a modern simple way. When you look at it, you have no doubt that it is a speaker. One full star for this. Overall, the BÖHM wireless speaker is useful for someone who just wants to listen to music and amplify your audio-visual streaming. Not ideal for phonecalls. It is still quite affordable and a great gift to receive! You can't complain about a device that will last 10 hours!! Available on Amazon. I really like the design of this speaker -- and I LOVE no wires. This would be the perfect speaker for outdoor fun when the family gathers for a BBQ or even a party. Love the simple design, and the power of it i bet is awesome! Car stereo system is present in all the cars that come out of the manufacturer's hub, so there is nothing special in having a standard stereo system, but should have a really upgraded stereo system.